About 10 or 15 years ago my best friend Danietra gave me a book called Mind: The Master Power by Charles Roth. This book was very influential in my life, and I have re-read it many times over the years. The book is about the power of our mental ability. Some Christians think books like this are against God’s word, and anything that focuses on our human ability is contrary to the belief in God’s power. However, I don’t agree, and that is not the case with this book. The author actually uses the bible to explain the abilities that God gave us. The ability that he concentrates on is the power of the human mind. Mind: The Master Power has 12 chapters. I cannot review all twelve, so I chose 3 chapters to share with you. Chapter 1: Your Untapped Potential – The first chapter starts off with a review of the classic bible story of the talents. One servant was given one talent, another servant was given two, and another servant was given five talents. Two of the servants used their talents, and one did not, for fear of losing it. The two who used their talents were given more, but the one who didn’t, had his taken away and given to the man who used his most effectively. The author then gives us examples of some basic “talents” that we are all given, but do not all use. The first is the ability to “think.” Yes, you read that right! I said our ability to think. Using your thinking skills effectively is a talent. How many times do we say that people do not have common sense. Or make comments about how somebody we know didn’t think about the choice they made or the situation they are in. In this age of technology, too many people do not think at all. They mindlessly surf the internet, and live on Social Media. Ask yourself, what was the last book you read? What actual knowledge do you have? These can be signals to yourself if you are actually using your thinking ability. Now take it to another level. The author says after we discover that thinking is a talent given from God, we should then recognize our ability to control it. We can use our ability to think wisely and CHOOSE to think constructive thoughts. “If you invest your talent of thinking wisely, you will find that the principle of the parable holds true. The Lord, or law of life, will enhance your life tremendously. If you chose to disregard your talent, that is, not use it wisely, you will probably find that negative thinking dominates your positive thinking, and in the long run things will get worse. In short, that which you have, as Jesus said, will be taken from you. This is not a threat; it is merely the inevitable outworking of law. Increased or accumulated negative thoughts and feelings result in increasingly negative conditions.” Enough said! Chapter 6: The Power of a Mental Image – This chapter focuses on our power of imagination. This is another mental ability that God has given us. It is similar to our ability to think, but imagination is focused on images. What images are in your mind? How do you see yourself? How do you see the world around you? We can use our power of imagination to bring change to the outer workings of our lives. The Marketing industry knows how powerful the mental image is. That is why we are bombarded with images on TV, in magazines, and on Social Media. If you drive this car, you will get this kind of woman. If you eat this food, you will look like this. If you buy this product, you will be happy. It doesn’t matter if the claims are true or not, the point is the mental images they sale to us often times work. You can learn to use this concept for own life. If you are trying to change your life, start by changing your thinking, and the mental images that you focus on. Some examples are: see yourself with that new job, envision yourself in your new house, imagine yourself as healthy, and so on. See yourself as you want to be. Before long you will be there. Chapter 7: Nothing is Impossible – This chapter focuses on faith and belief. The Author quotes one of the most popular scriptures in the Bible “For truly, I say to you, if you have faith as a grain of mustard seed, you will say to this mountain, move from here to there, and it will move, and nothing will be impossible to you.” We already talked about our ability to think and power of imagination, faith is like the activating force behind it. You can imagine a better life all you want, but if you do not “believe” that it can happen, then it will remain a mere fantasy. You have to learn to use your belief and build your faith. *Reading the Word of God. 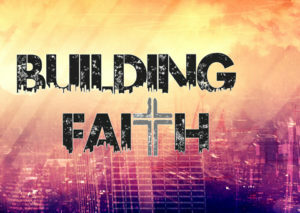 How can you build faith in something that you do not know? You have to read God’s promises in order to know them, and then believe them. *Choosing to believe. We have talked about this in previous posts, you have the power of choice, and you must CHOOSE to believe. *Acknowledging what God has already done in your life. No matter how bad things may seem, you are blessed. Having the gift of life is a blessing. If you have children, that is a blessing. If you have all of your limbs, that is a blessing. If you are healthy that is a blessing. If you are free, that is a blessing. As you all know I work in a homeless shelter. Being in a shelter is not easy, but what if you were on the streets? If you look at it that way, even being in a shelter is a blessing. Start to acknowledge what God has already done in your life, and you can build your faith in what more He will do. I highly recommend the book Mind: The Master Power. Particularly for anyone who is in the process of trying to change their life. You may feel powerless, but you do have power. God has ALL power, but He gave each of us a measure of power in our own lives. We are made in His image. God is THEE creator, so He also gave us the power to create. One of the most powerful tools you have to create the life that you want is your mind. It is truly the Master Power. As usual. Very well written. I like the fact that I can take that info you shared and apply it to any facet of my life. I believe everything is more mental than physical anyway. I really enjoyed it. I was deeply moved by your testimonial regarding the book entitled ‘Mind: The Master Power’. So much so that I immediately ordered my own copy last Sunday. My book arrived Wednesday. I finished reading it today (Sunday) and I have been so enlightened! As the book states the power of Christ is within. It is within each and every one of us. We all have to learn how to harness that power. In other words you have to harness and control your very own thoughts. Thoughts are so powerful. You can pray until you are blue in the face but if your thought pattern does not align with your prayers all is null and void. This book will get read and referenced for years to come. I am compelled to purchase several copies and present them as gifts to loved ones.